Ideal for safe maintenance and machinery access at heights, these aluminium ladders are equipped with a fixed rail and mobile carriage - eliminating the need for a safety cage. Multiple options are available to meet your requirements. 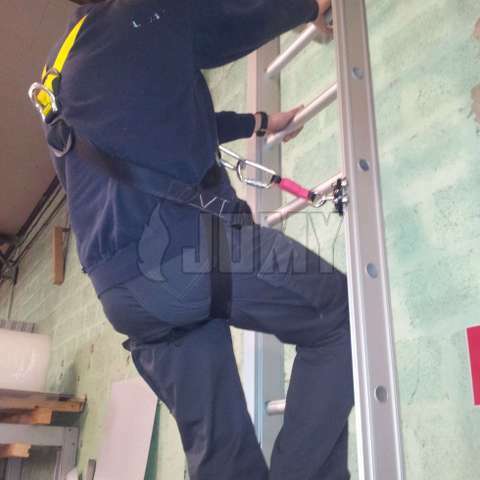 JOMY lifelines can be used on all JOMY constructions for access or working at heights. 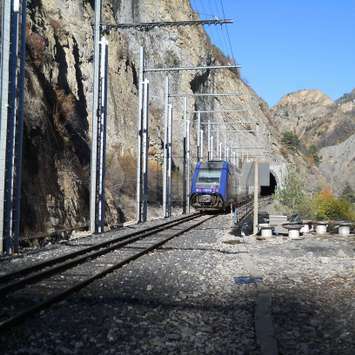 JOMY has developed a lifeline based on a fixed aluminum rail with a mobile carriage to which the user attaches his safety-belt, which blocks on the rail in case of a fall. The lifeline ladder is perfect for accessing your building and machinery for maintenance at heights while working standing up. It is a safe and easy solution. The ladder can be equipped with a foldable access landing. This landing ensures that maintenance workers can use the ladder in a safe way, without the danger of slipping and falling down through an opening beneath. 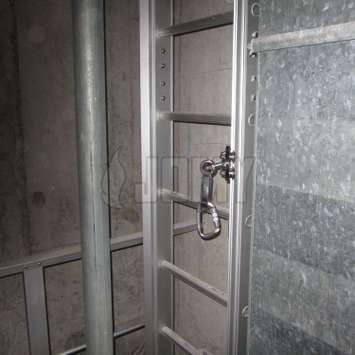 Safe access for machinery and building maintenance is guaranteed. The rail can be straight or curved (with a radius of minimum 50 cm ). The cross section of the aluminum rail is less than 31 x 31mm. This fall arrest system is also available on our retractable ladders and our Building Maintenance Units. In some cases the rail is integrated to the profile itself. 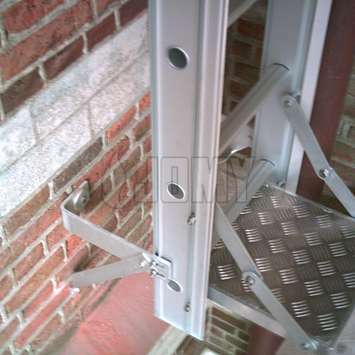 Access ladder extensions include telescopic handrail, horizontal access balcony, upper balcony with rungs, steps to cross roof edges, custom made access landings, etc.